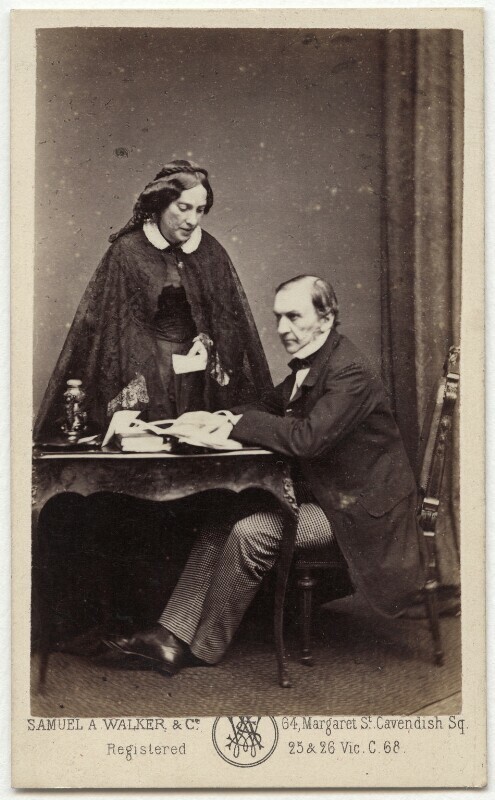 Catherine Gladstone (née Glynne) (1812-1900), Philanthropist; wife of William Ewart Gladstone. Sitter in 46 portraits. William Ewart Gladstone (1809-1898), Prime Minister and writer. Sitter associated with 318 portraits. Samuel Alexander Walker (1841-1922), Photographer; son of William Walker. Artist associated with 200 portraits. The Lancashire cotton famine, a depression in the north-west textile industry brought about by the American civil war, reaches its climax. With large numbers of mills closing after Confederate blockades halted cotton supplies, many Lancashire families were in receipt of relief. Louis Pasteur and Claude Bernard carry out the first pasteurisation tests, the process of heating liquids at 55 degree Celsius or higher for short periods of time, destroying viruses and harmful organisms such as bacteria and yeast. .
Victor Hugo's novel Les Miserables is published, covering the Napoleonic wars. It traces the ex-convict Jean Valjean's character against wider questions of social and political justice, duty and love. Otto Eduard Leopold Bismarck becomes Minister-President of Prussia, appointed by Wilhelm I after the liberal Diet refused to authorise funding for a proposed reorganisation of the army. Bismarck, intent on maintaining royal supremacy, engineers the Unification of Germany during his time in office. John Hanning Speke claims to have found the source of the Nile, proving that the Victoria Nile issued from the north end of lake Victoria, over Ripon Falls.